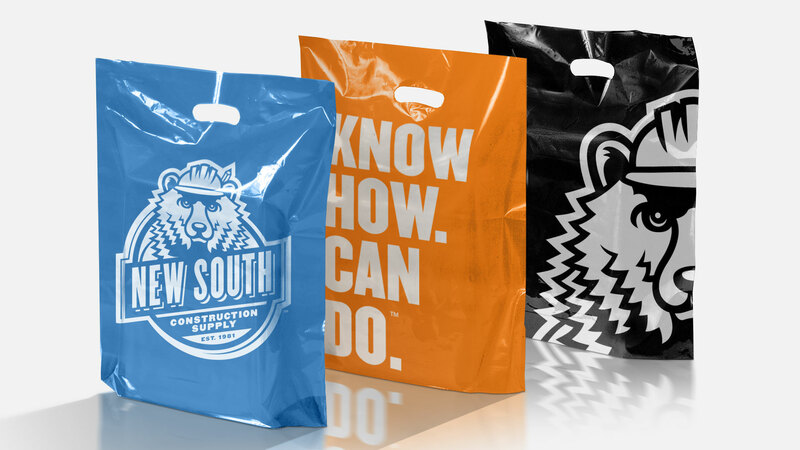 The challenge here was to create construction branding that supply purchasers of all levels can identify with and trust in a space that has no identifying traits. 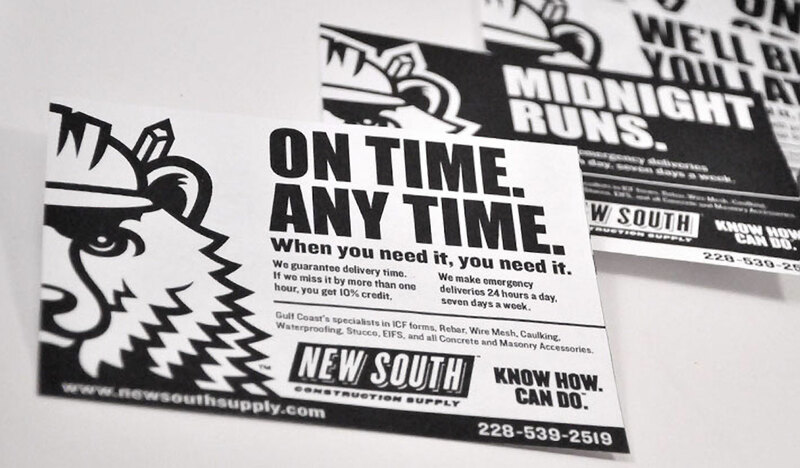 New South wanted a new identity which distinguished them from the competition and reflected a “ol’ buddy” personality they have established. 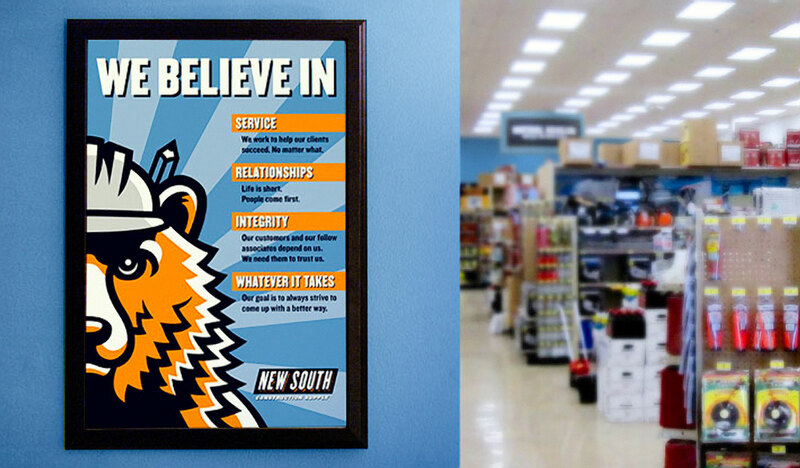 New South’s sales reps consider their customers their buddies. 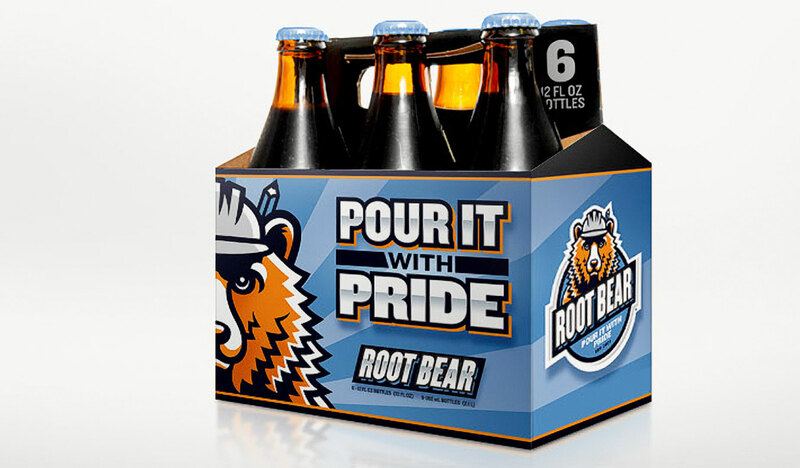 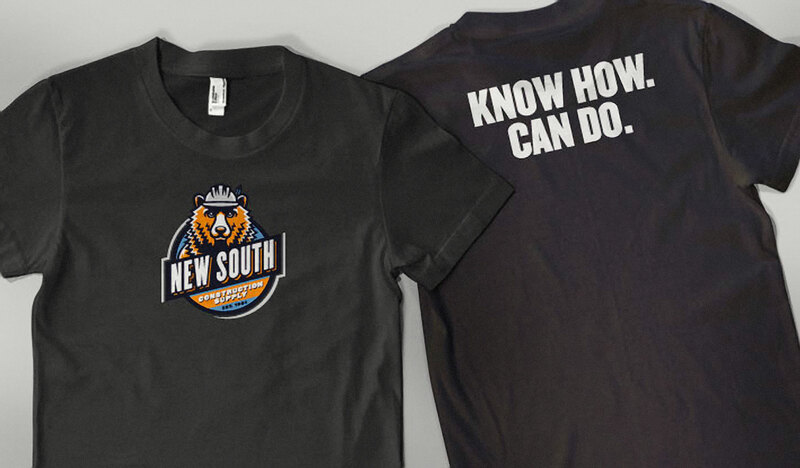 To reinforce that, I designed an iconic “buddy” with the strength, intelligence and confidence of New South employees – Kandu the Bear. 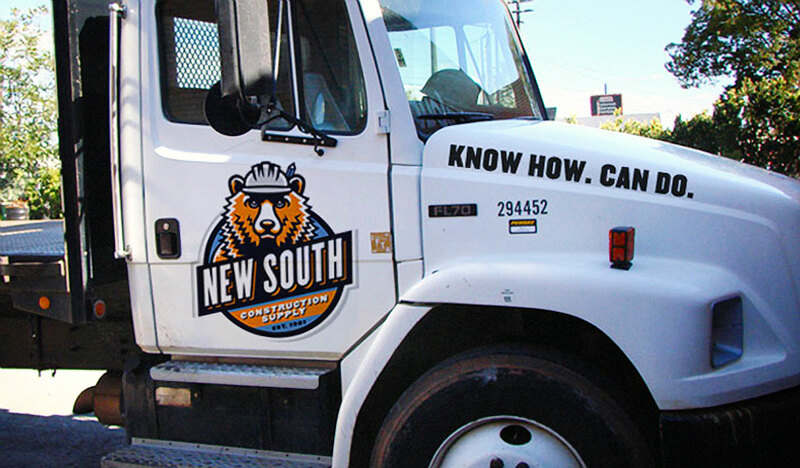 Employees and customers adopted the brand in a big way, plastering their trucks with New South’s name and Kandu’s face.